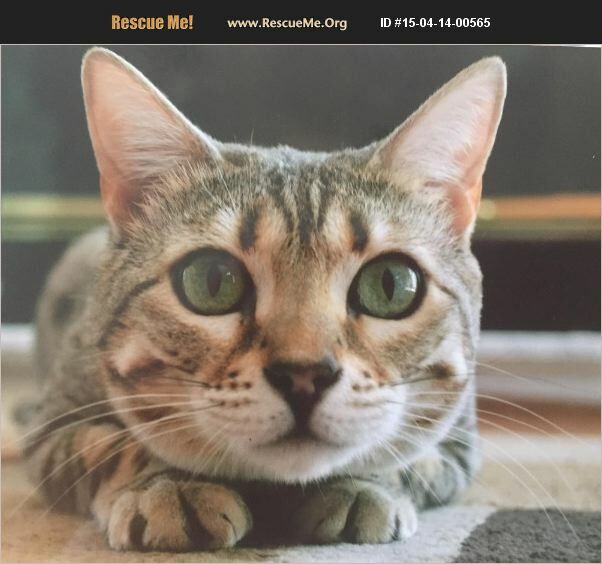 Illinois Bengal Rescue View other Bengals for adoption. Cozmo is a very sweet cat but on her terms. She doesn't like to be picked up but will come sit in your lap every time. She seems to get stressed with small children but she is good with them and gives my one year old kisses all the time. She is on the needy side and wants to sleep with me but wakes the children with meowing if she wants in or out of the room. We seem to be out if town too much and i have five children (three of which are toddlers) so I'm really struggling to give her the attention she needs. She likes to sleep in bed (under the blankets at our feet) and my toddlers often sleep with me. My kids kick in their sleep and have accidentally kicked Cozmo and she has bitten them. When i lock her out to avoid this possibility she meows at the door and wakes them. She has never bitten them when she was awake it's just in the situation i described but obviously a huge problem for me.